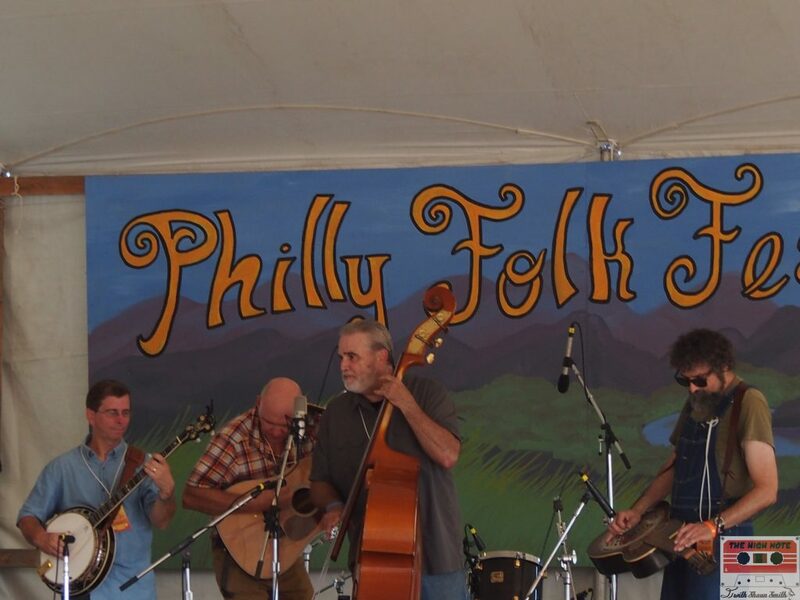 Emerging trends in modern folk blended with hearty musical traditions at the 54th annual Philadelphia Folk Festival in the humble mountain community of Upper Salford Township. 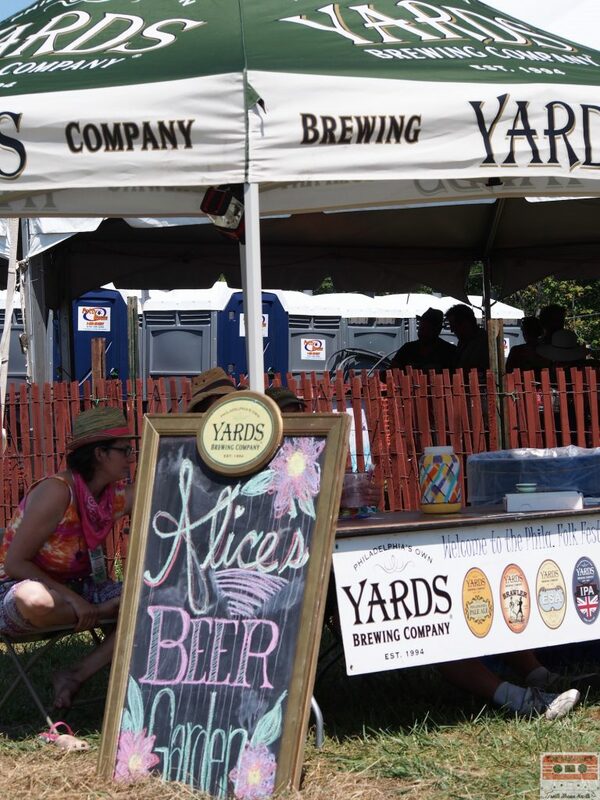 New blood was surging and expanding the cultural experience throughout the weekend Aug. 13-16 at the Old Pool Farm. Thousands were staking their claim on the hill early to mark their territory with tarps and blankets for the evening concerts. 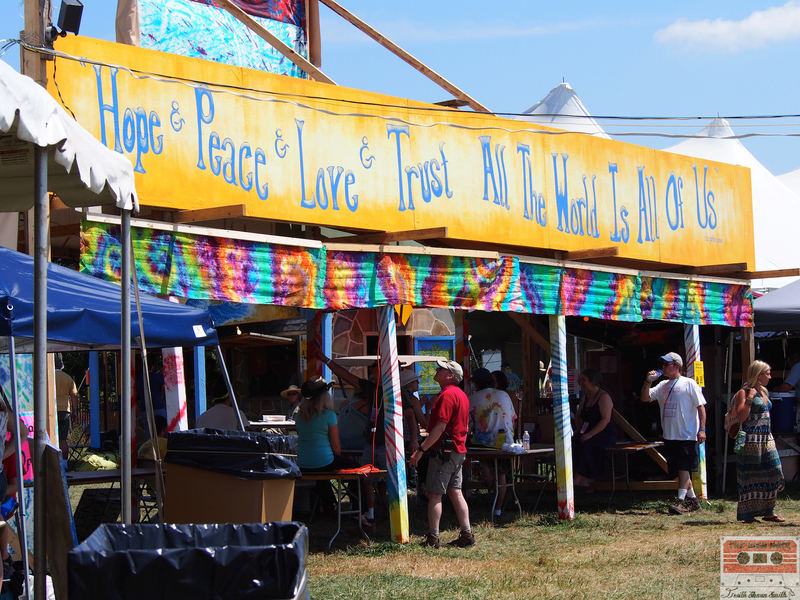 By the end of the weekend, an estimated 30,000 people would pass through the festival grounds, that operates as a farm when its not filled with folkies. 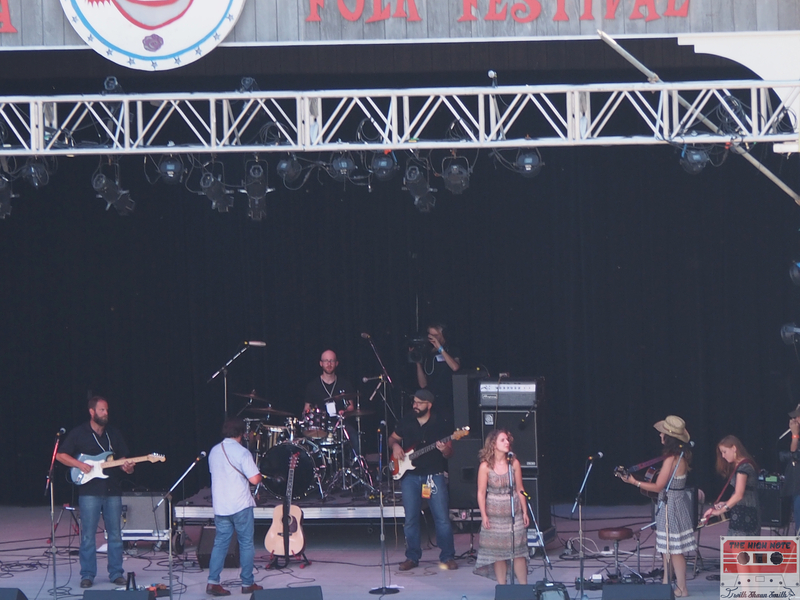 The festival featured performers of all backgrounds and styles that are rooted in folk. 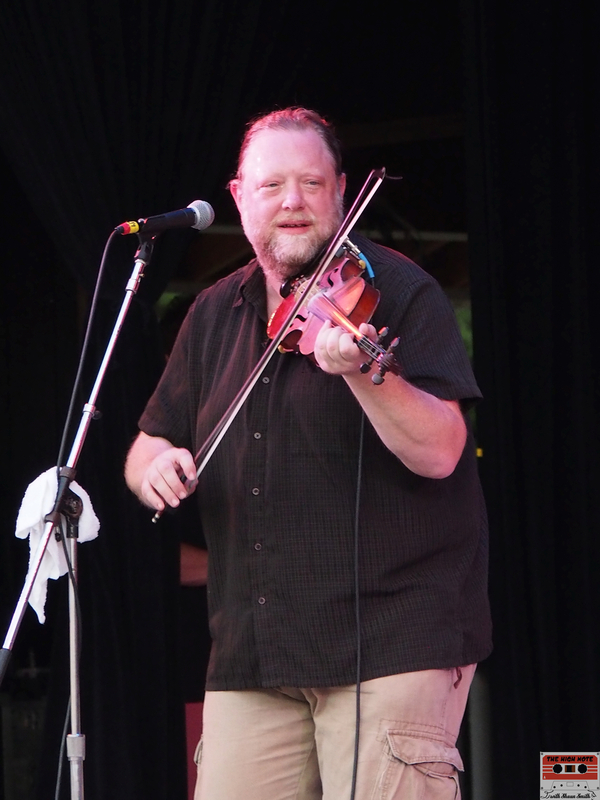 It’s a tough term to nail down as folk music covers a variety of genres. Blues and Celtic sounds are both folk music; some rock ’n’ roll, R&B, rap and Latin music can have its roots in American folk music. 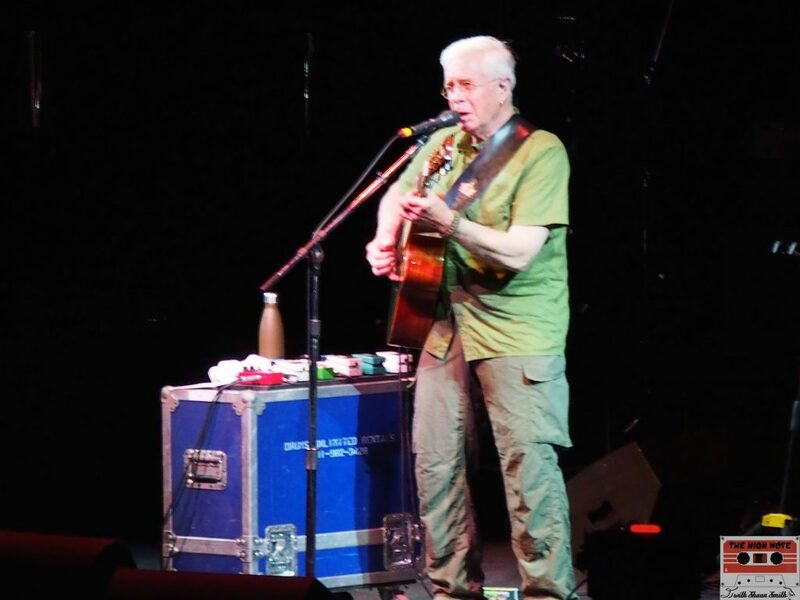 From the outset of a sweltering Friday afternoon the chatter was all about Arlo Guthrie. 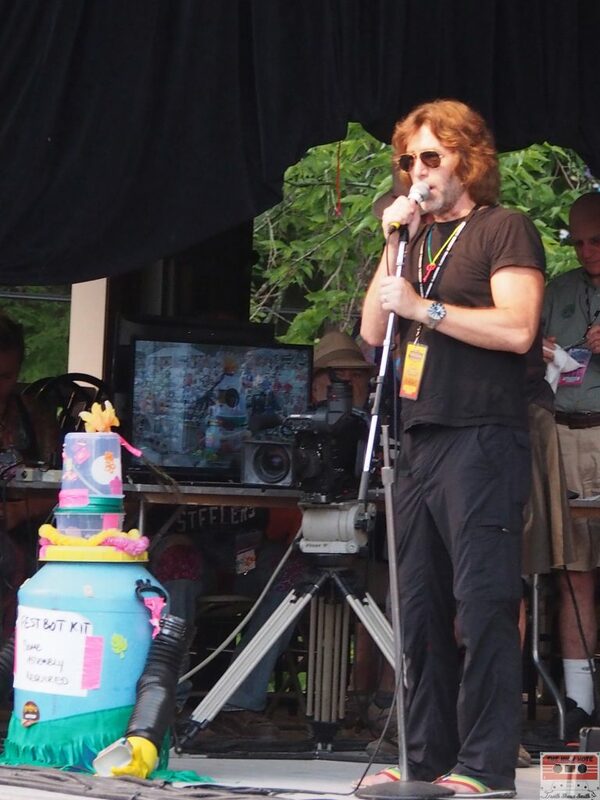 Guthrie closed out Friday’s show to mark the 50th anniversary of the events that led to him writing “Alice’s Restaurant Massacree.” As festival-goers cooled off under the shady tree cover of Dulcimer’s Grove in the calming waters of the Perkiomen Creek, a new crop of artists took the stage. 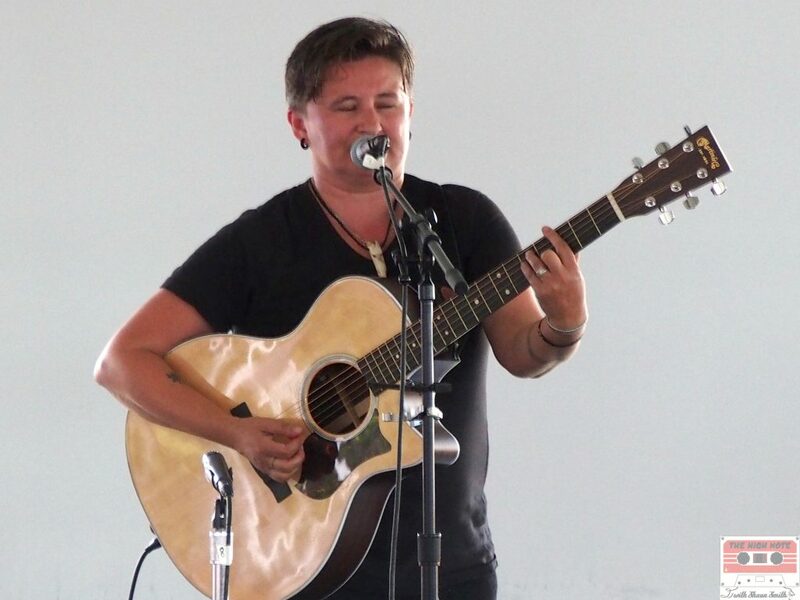 MIa Bergmann performs at the 54th annual Philadelphia Folk Festival. 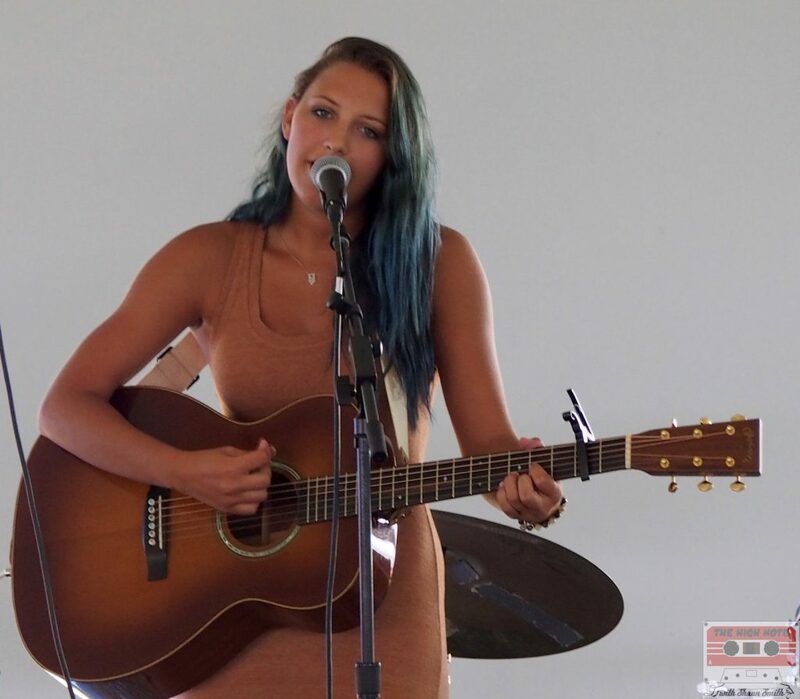 Mia (pronounced MY-ah) Bergmann of Margate, New Jersey played during the Next Gen Folk showcase Friday afternoon at the Cultural Tent. 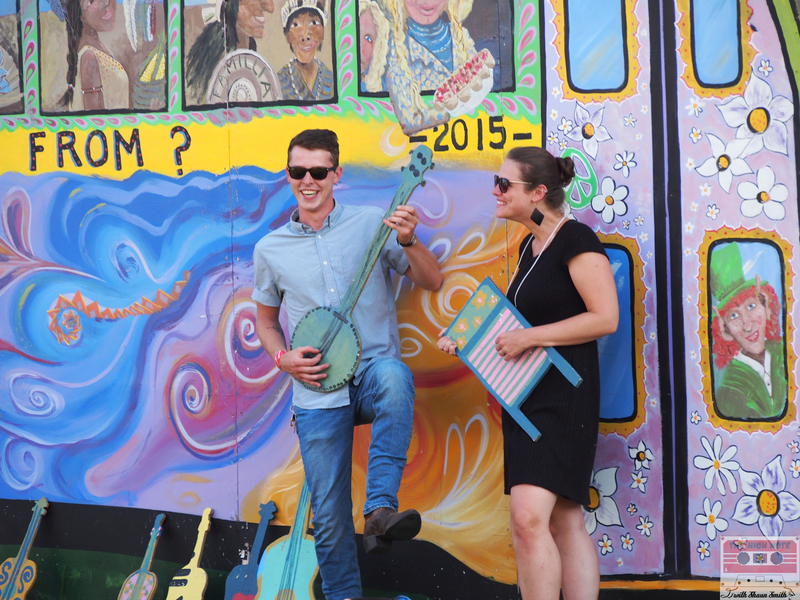 Philadelphia Folksong Society Executive Director Justin Nordell said it was Bergmann’s cover of a John Prine’s “Angel From Montgomery” that caught the attention of festival organizers. The Grateful Dead is one of her biggest influences, according to Bergman. 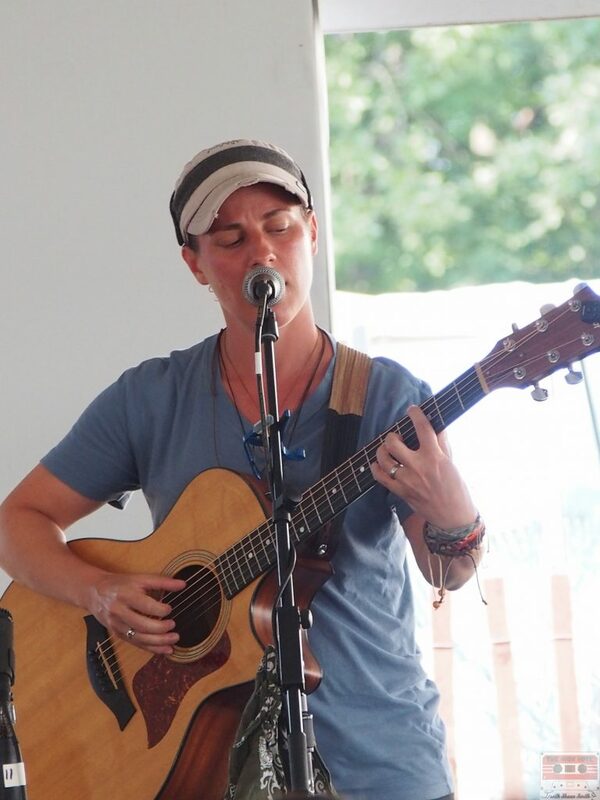 She said she is equally influenced by the songwriters she worked with in Nashville, Tenn. The high school student sings with grace and power that resonates like Kacey Musgraves. 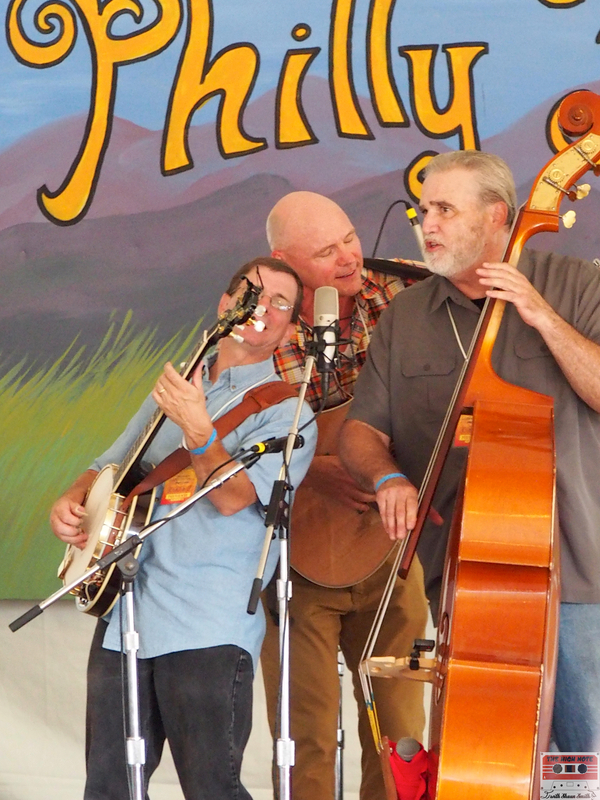 The Jersey Corn Pickers jam on the Lobby Tent Stage. Early Saturday morning as a fisherman’s fly danced across the surface of the bubbling creek, soap bubbles began to float past his waders. Tractors with wagons filled with campers rounded the hills to the Lower Frederick Fire Company annual Pancake Breakfast; $5 for all you can eat pancakes and sausage. Firefighters sell tie-dye T-shirts out front that read “I Survived The Lower Frederick Fire Company Pancake Breakfast.” One member even makes Mickey Mouse-shaped pancakes for kids. Nothing fills the hunger of a folkie like hot fire hall flapjacks. 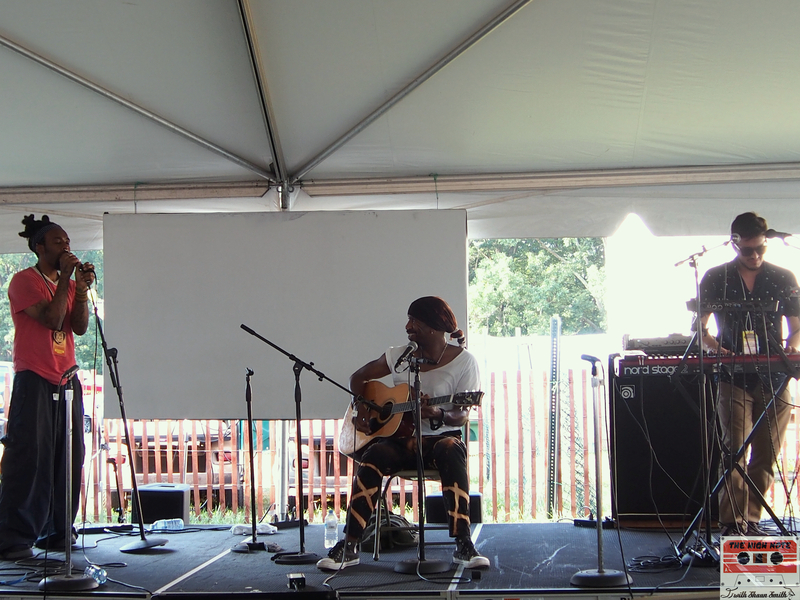 The Kuf Knotz Band, from left, Kuf Knotz, Melvin “Blaqmel” McKnight and Adam Ahuja perform at the 54th annual Philadelphia Folk Festival. 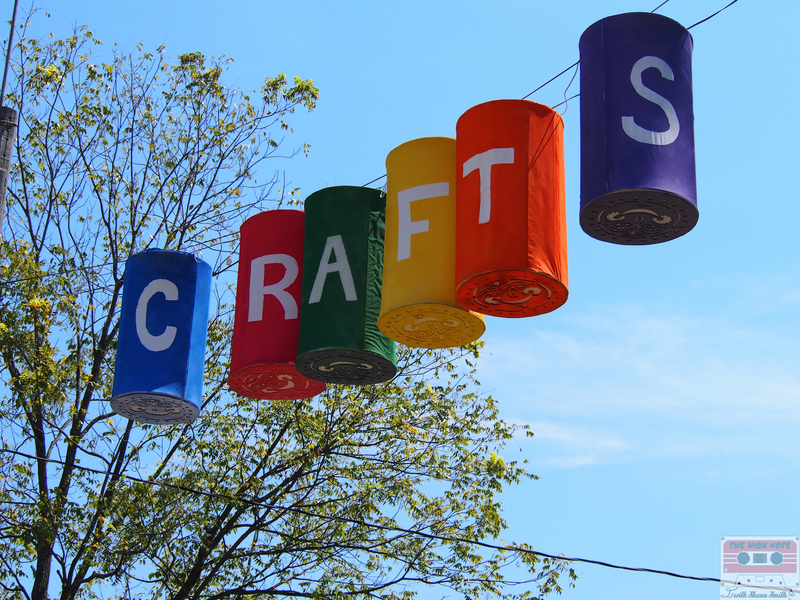 A variety of influences converged on the festival across seven stages. 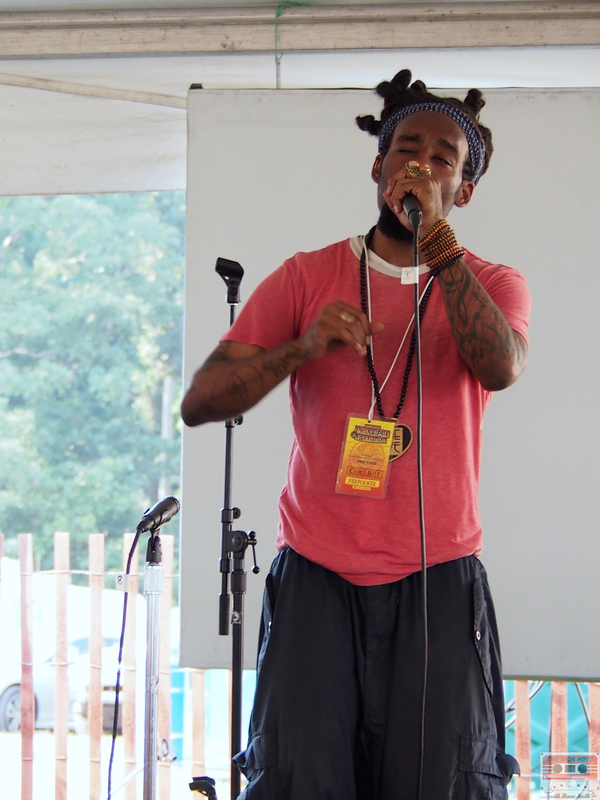 The Philadelphia-based hip-hop arist Kuf Knotz had three showcases throughout the weekend. The positive message MC performed with collaborators Adam Abuja on keyboard and four-track loop mixer and Melvin “Blaqmel” McKnight on guitar and vocals. Abuja creates mesmerizing loops and captivating beats. He can be heard on Kuf Knotz’s latest album is “A Positive Light.” I had an opportunity to speak with Knotz after his Sunday workshop Word! at the Cultural Tent about his current tour, which he is documenting. 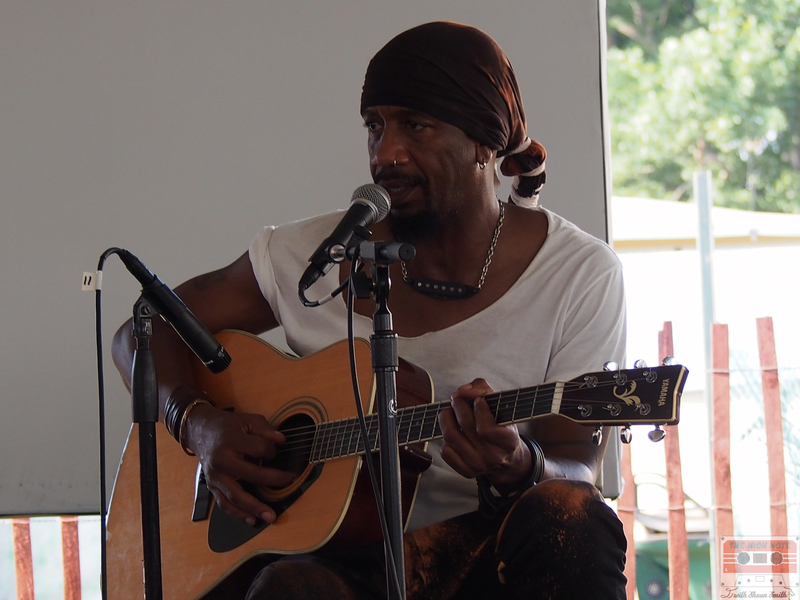 See “A Positive Light Tour Diary at the Philadelphia Folk Festival” here. 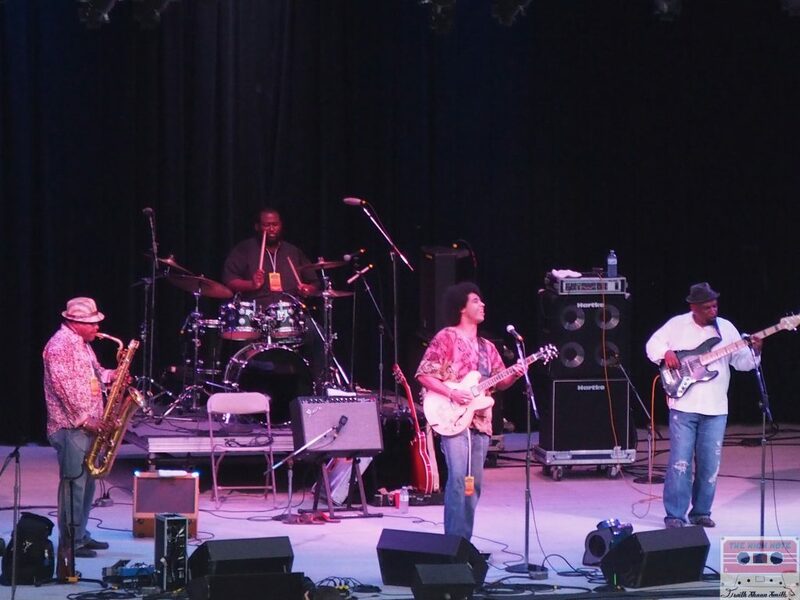 The Lee Boys tore up the stage Saturday night with a funky, soulful and bluesy set and had fans standing on their feet. 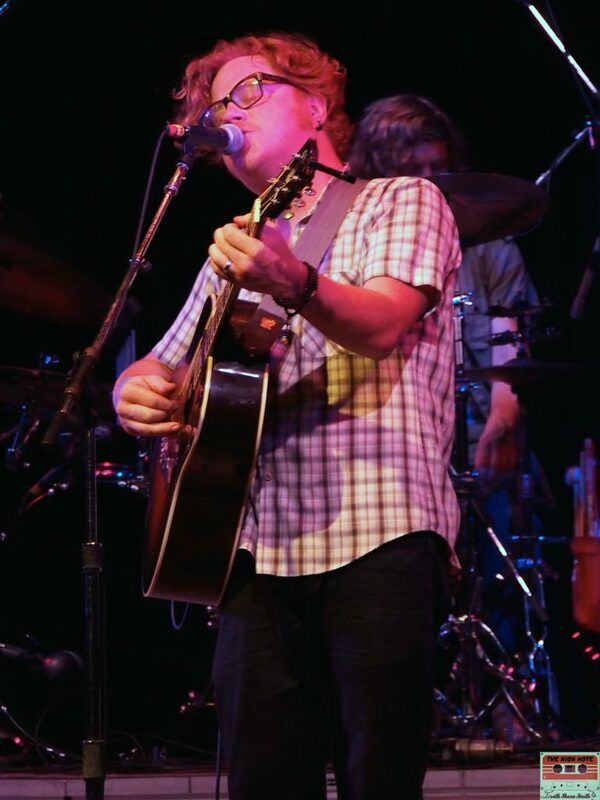 Bruce Cockburn unleashed his signature fiery lyrics and fierce guitar licks. His intense and intimate songs set up Lyle Lovett and His Large Band before Irish Mythen closed out the show. Mythen stuck around for a set on Sunday called “Women Who Love Women Who Make Music” with Elspeth Tremblay and Andrea Nardello. She was funny and playful in on the much smaller Cultural Tent stage. 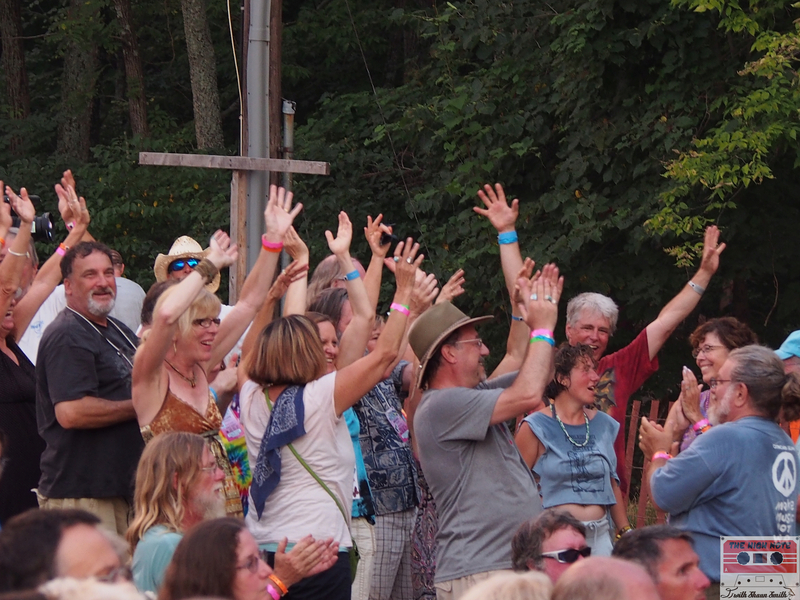 Although I walked into the festival most excited to see Tom Paxton Sunday evening I was surprised by the surge of energy created by the final three bands that lingered around the farm for hours. 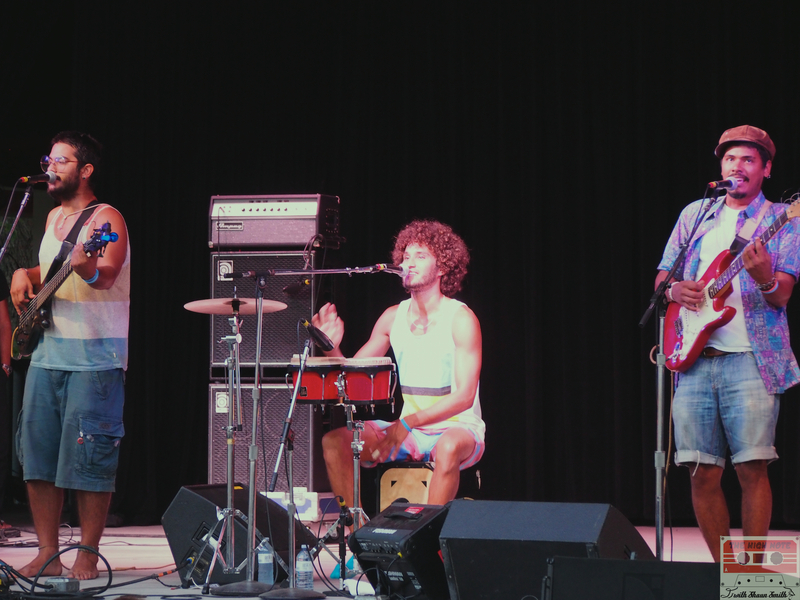 El Caribefunk spice up the Philadelphia Folk Festival. El Caribefunk took only a few minutes to set up and ran a Caribbean current throughout the festival. Halfway through the set, a conga line circled in front of the stage, converging with a sea of high-fives on the other side. Incorporating funk and salsa, the four members have tremendous chemistry and passion for music. The band is on the #vamospalante tour of New York, New Jersey and Philadelphia through Sept. 4. 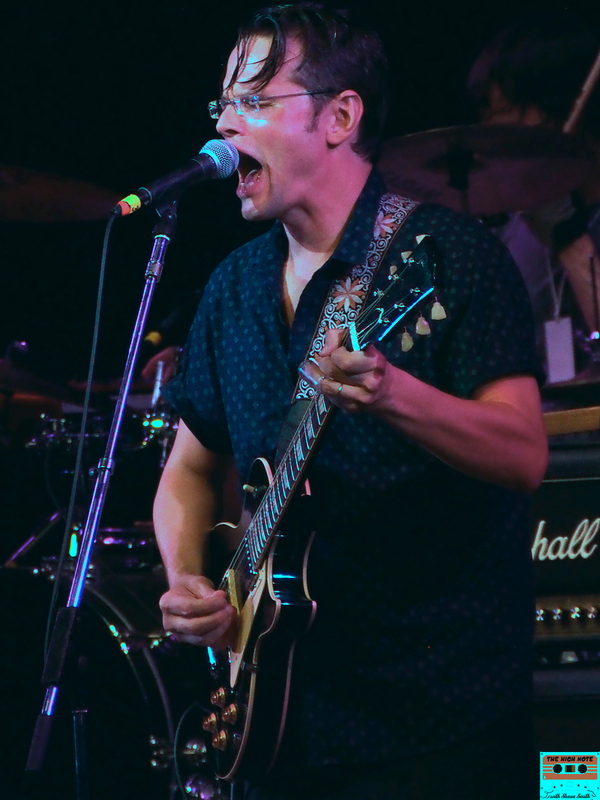 Hoots and Hellmouth put on its best show of its fest tenure. I’ve seen the band, led by Philadelphia’s own Sean Hoots, play at the fest at least twice before and they put on their tightest set in my memory while bringing the same tenacity I remember. 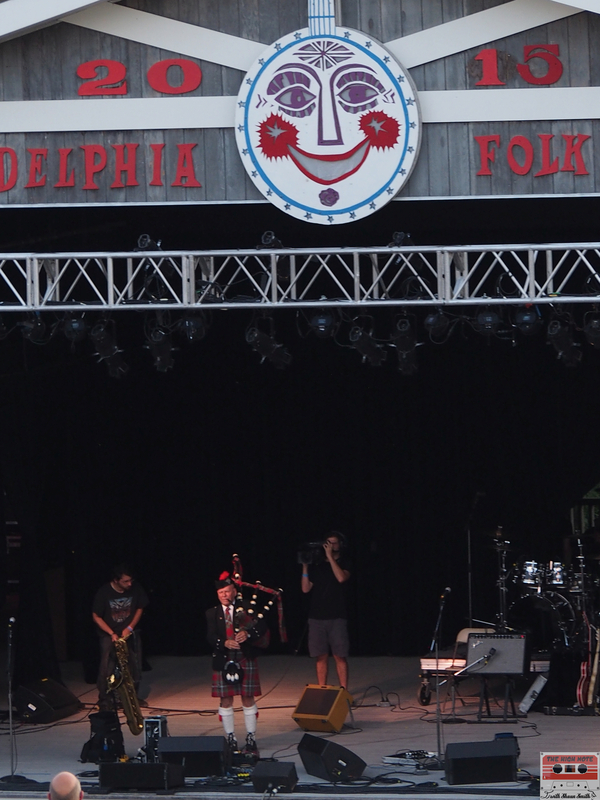 The Philadelphia Folk Festival knows how to close out a show. 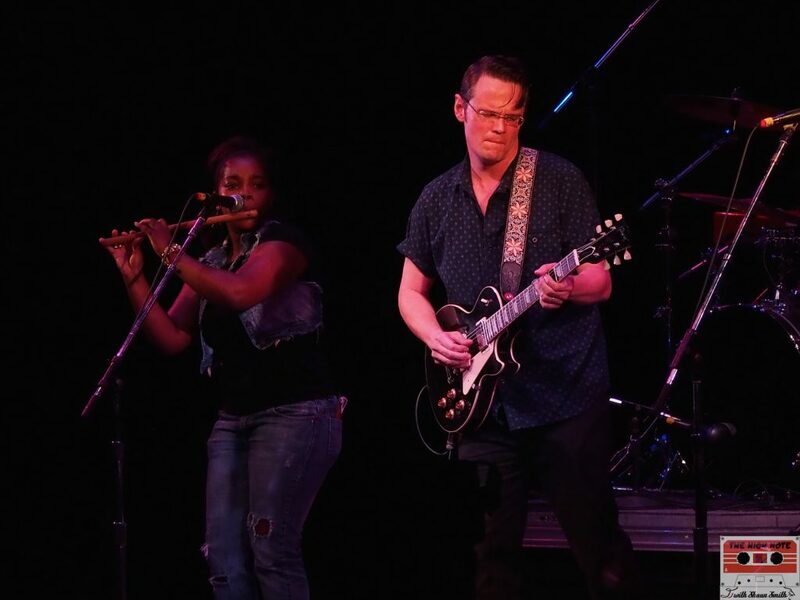 This year the North Mississippi Allstars had the honors of capturing the attention of the Sunday evening audience. 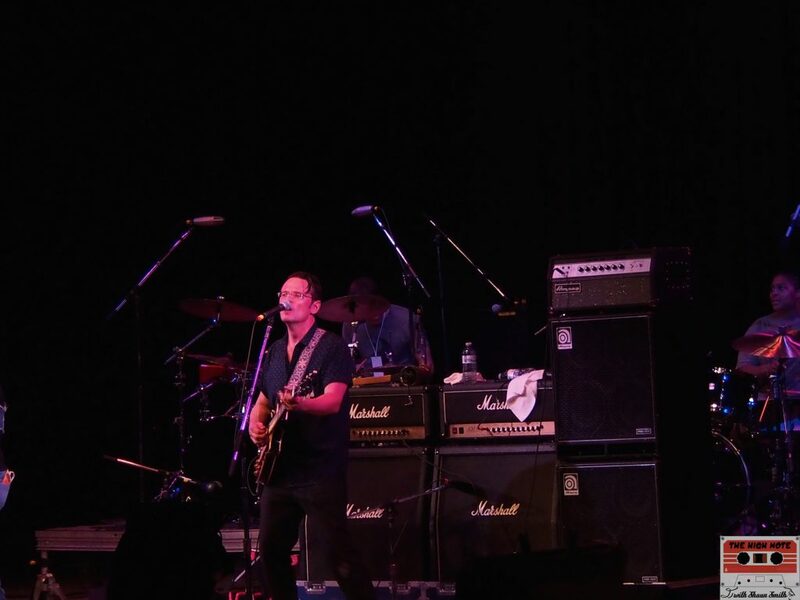 The southern rock and blues band is led by the Dickinson brothers; former Black Crowes guitarist and cigar box guitar player Luther Dickinson and drummer, keyboardist and rhythm guitarist Cody Dickinson. Sharde Thomas and Luther Dickinson of the North Mississippi Allstars perform on the Martin Guitar Main Stage at the Philadelphia Folk Festival. The band jammed with an additional drummer, Nikki Glaspie and vocalist Sharde Thomas, who also played the wood flute and then played drums. 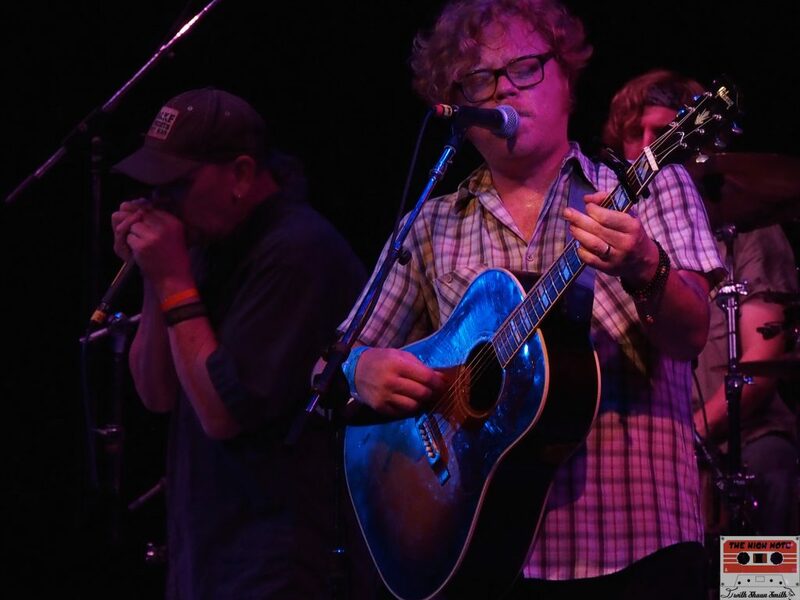 Besides including a dynamic lineup of musicians, the band rolled through a strong, blues-heavy set driven by the incredibly talented Luther Dickinson. I couldn’t tell you any of the songs they played although I recognized some of the tunes. 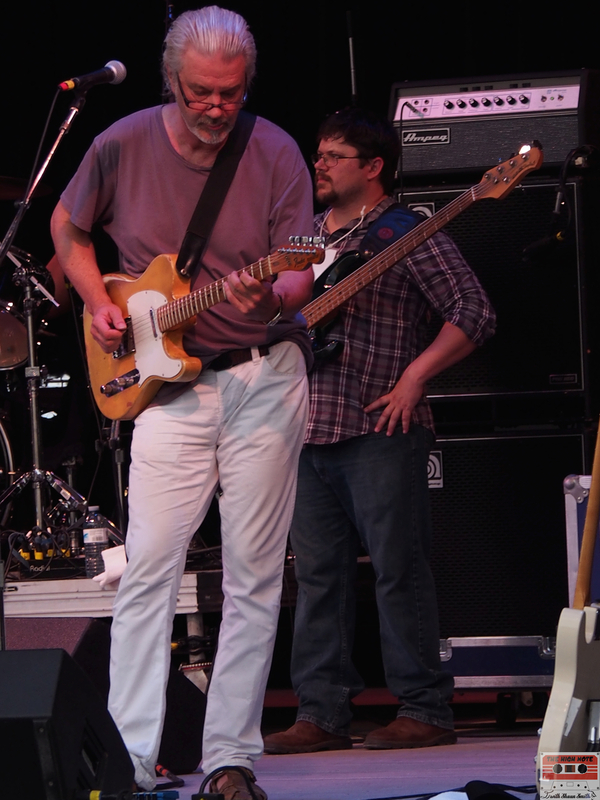 Dickinson, who also perviously played with Phil Lesh and Friends led by the former Grateful Dead bassist, is a powerful force. 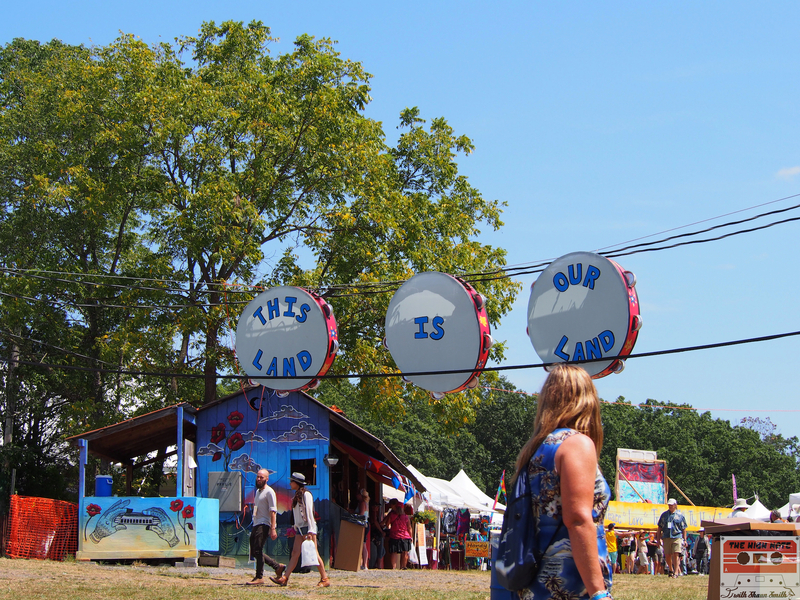 “This Land Is Our Land,” the spirit of the lyrics made famous by Woody Guthrie, were literally hanging over the festival. 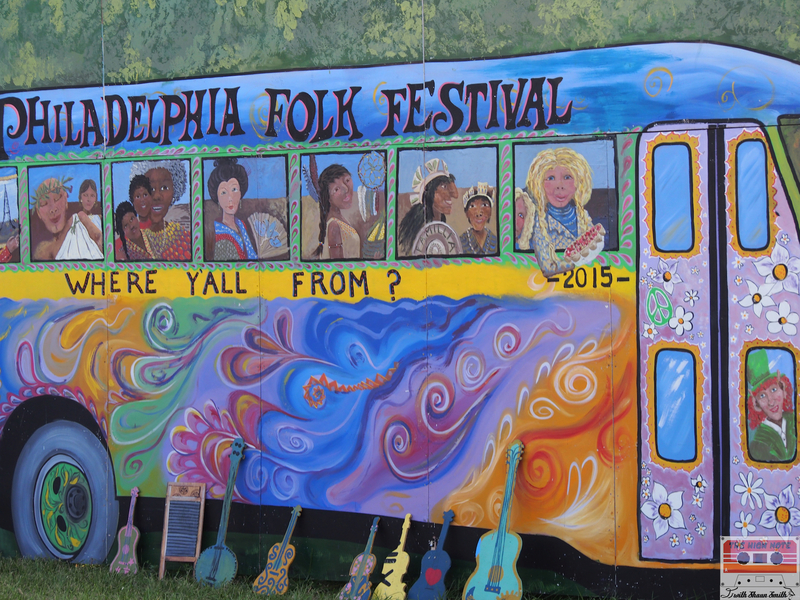 The less tangible idea and community spirit that emerged throughout the 54th annual Philadelphia Folk Festival is what makes the event a cultural pilgrimage. The Philadelphia Folksong Society continues to hold this ritual and people leave with a greater appreciation for music and humanity. The practice doesn’t skip between tracks but fades seamlessly throughout the years. If you look close when the sun is setting behind the trees on the hilltop, you can still see a shadow where a vessel stood near the Tank Stage dissolving as the next wave begins to roll across the lawn. 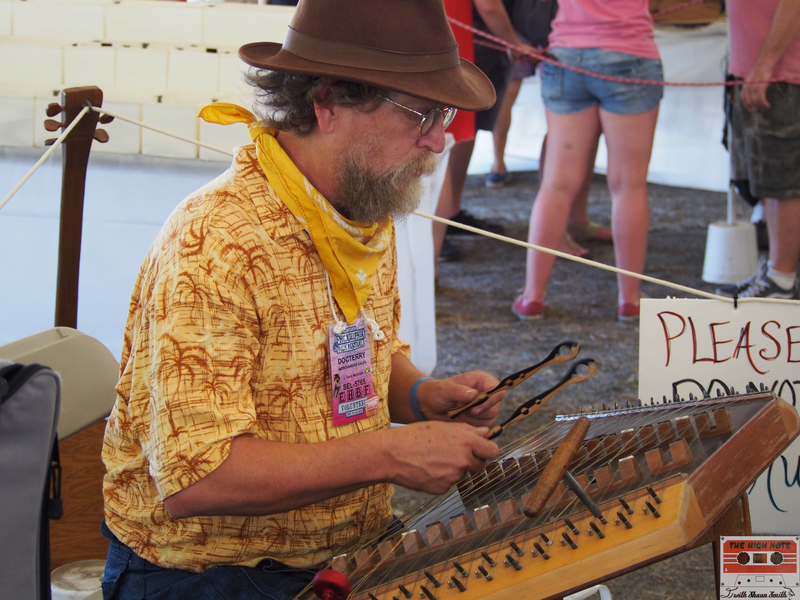 Doc Terry plays the Hammered Dulcimer in the Philadelphia Folksong Society tent at the Philadelphia Folk Festival. 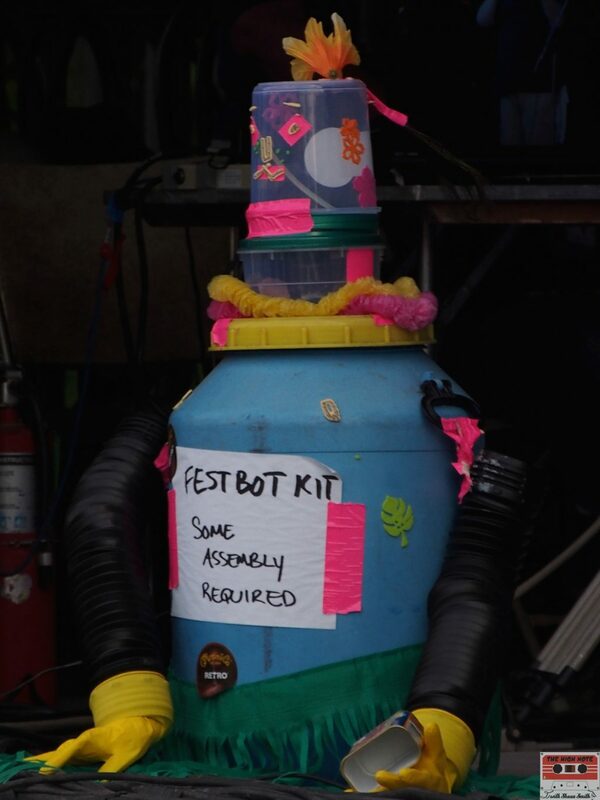 John Flynn and FestBot at the 54th annual Philadelphia Folk Festival.